I wrote this for the wonderful Curiocity, London’s finest pocket-sized trivia-and-map-packing magazine. Issue E, with a pilgrimage theme, is available at all good London bookshops. On Bayswater Road at Marble Arch is a small convent, unlikely home to a ‘cloistered community of benedictine contemplatives’, aka nuns. In the basement chapel, the walls are covered with ancient relics – skin, bone, bits of fingernails – from some of the 350 Catholic martyrs who were hanged on the three-sided Tyburn Tree during the Tudor wars of religion. 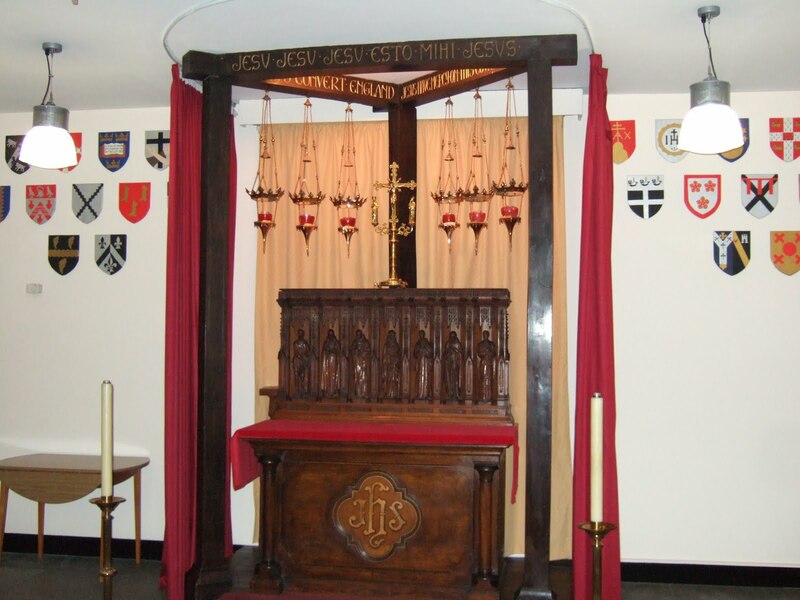 Behind the altar of this ghoulish Martyr’s Shrine is a replica of the Tyburn gallows itself. One of London’s best known ‘secret’ sites, this little stone on Carlton House Terrace marks the grave of Giro, beloved pooch of (Hitler-opposing) German ambassador Leopold von Hoesch. Giro died while the German Embassy was at No 8-9 (now the Royal Society) during the pre-war Nazi era. He wasn’t really a Nazi, incidentally, as dogs rarely express a political preference (although I did once know one that would bark like a maniac if you said ‘Labour party’). 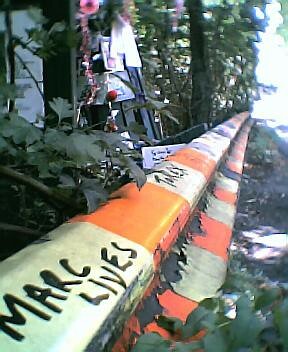 A sycamore tree on Queen’s Drive in Barnes has been a shrine to Marc Bolan since 1977 when Bolan’s Mini crashed into it, killing the singer instantly. A bronze bust of Bolan stands nearby. 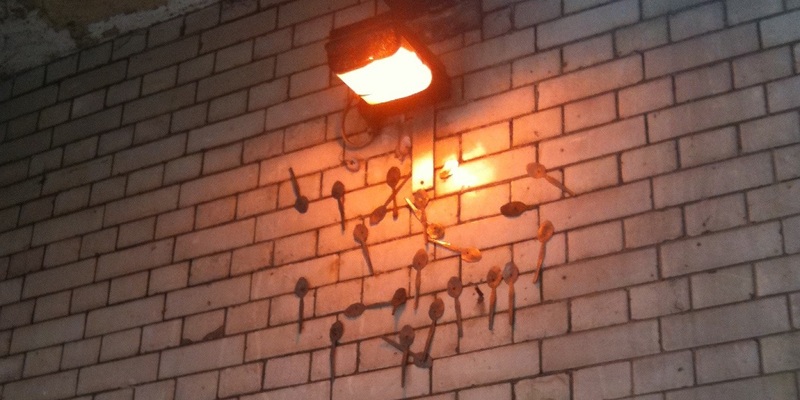 Underneath a dank stairwell in Farringdon close to Mount Pleasant sorting office you might stumble across a wall stuck with a dozen mysterious spoons. Urban legend says these were placed here by heroin users in tribute to their dead peers, each spoon marking a new death. This parcel of disused land in Borough has been claimed by locals as a shrine to prostitutes said to have been buried on unconsecrated land since the 1500s, and they come here to lay flowers for the forgotten dead. In truth, Borough had many such graveyards and Cross Bones was used to bury the poor of both sexes. 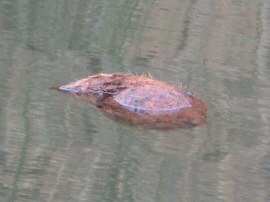 The further west you head along Regent’s Canal towards Southall the more likely it is you will come across a coconut floating in the water, sometimes cut in half and containing candles. These are placed there by London Hindus in religious ceremonies that sees the tiny canal replace the mighty Ganges. Look over the side of the Jubilee Footbridge and you’ll see dozens of broken skateboards lying on one of the concrete feet that anchor the bridge to the Thames. These are boards that have experienced one olley too many and, beyond repair, been dropped to join their kin by South Bank skateboarders. A shrine to everyday heroes, this park features a number of ceramic tiles dedicated to Londoners who died while saving the lives of others. A remarkable, very touching little spot created by the Victorian artist GF Watts.